process of its transformation into a market economy, Chow observes the economics of institutional changes taking place, the role of China 's government, and the significance of the historic and cultural traditions of the country. 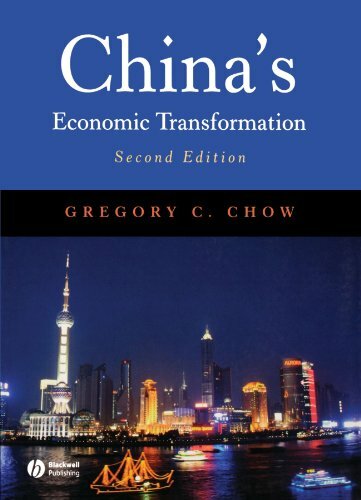 Chow 's knowledge of what has happened and what is happening in China helps him identify the major causes of economic change and development. How Large will the Chinese Economy be in 2020? How Attractive is China for Foreign Investment?